क्या आप एक WordPress blog शुरू करना चाहते हैं? Godaddy managed WordPress Hosting केवल कुछ मिनटों में आपके लिए ब्लॉग शुरू करना आसान बना देता है. इस tutorial में, मैं आपको बताऊंगा कि आप अपने Godaddy hosting Account पर WordPress blog कैसे install कर सकते हैं. अपने पहले tutorial में, मैंने बताया कि आप Godaddy से managed WordPress Hosting कैसे खरीद सकते हैं. यह हमारे tutorial series का #2 है. 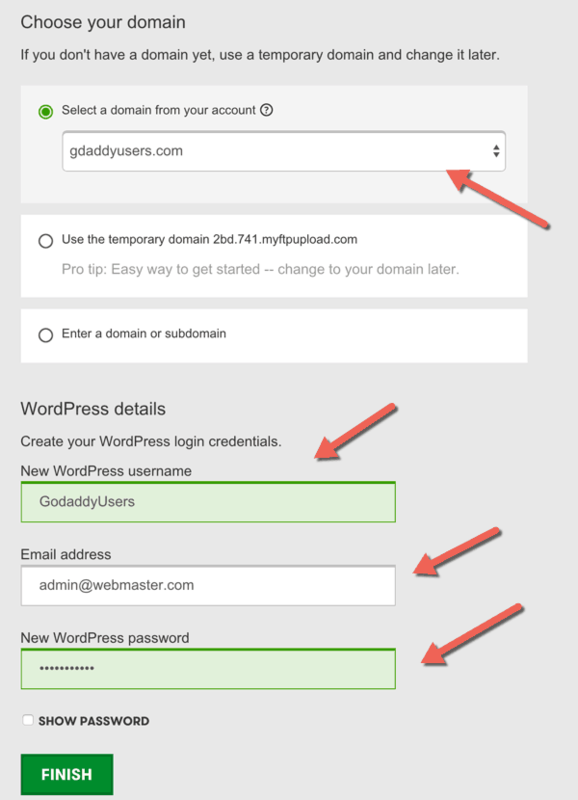 मैं आपको Godaddy managed WordPress hosting Account पर WordPress install करने की प्रक्रिया के बारे में step by step बताऊंगा. Godaddy one-click WordPress installation ऑफर करता है. आपको केवल कुछ settings configure करने की जरुरत होती है जैसे अपना username, password और कुछ अन्य विवरण. इसके अलावा सबकुछ auto-install से हो जाएगा. यह WordPress के लिए automatically आपका database तैयार कर देगा और आपका blog केवल 5 या उससे कम मिनट में चलने लगेगा. तो आगे बढ़िए और अपना पहला blog बनाइये. अपने Godaddy dashboard पर login करिये. पहली screen आपके सभी उत्पादों को list down करेगी. WordPress blog installation प्रक्रिया शुरू करने के लिए managed WordPress पर क्लिक करें. 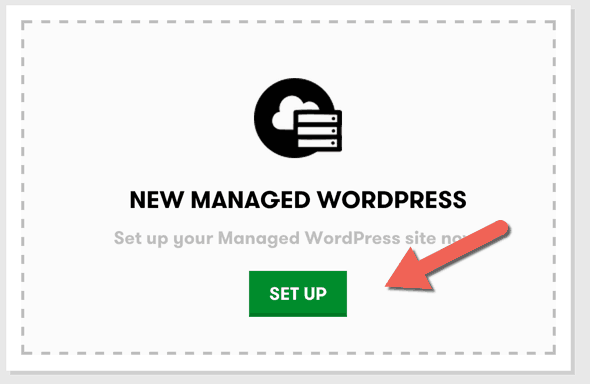 अगली स्क्रीन पर New managed WordPress के नीचे Setup पर क्लिक करें. इस गाइड में, मैं आपको दिखाऊंगा कि बिल्कुल शुरुआत से WordPress कैसे install करते हैं. Upcoming tutorials में, मैं आपको बताऊंगा कि एक Hosting से Godaddy Account पर WordPress कैसे migrate करते हैं. Godaddy, WordPress के installation को आसान बना देता है और आपको केवल कुछ विवरण जोड़ने की जरुरत होती है. Domain name: उस domain name का चयन करें जिसपर आपको WordPress install करने की जरुरत है. Username: उस username का चयन करें जिसके प्रयोग से आप अपने WordPress dashboard पर login करेंगे. Email: Make sure कि आप ईमेल प्रयोग करते हों, जहाँ आप installation जानकारी प्राप्त कर सकते हैं. इसे install करने के बाद आप WordPress dashboard के अंदर किसी भी समय अपना email address बदल सकते हैं. Password: अपने WordPress blog को hackers से सुरक्षित रखने के लिए एक कठिन password का प्रयोग करें. Installation पूरा हो जाने के बाद आपको एक email भी मिलेगा. Email में आपका WordPress dashboard login और username शामिल होगा. 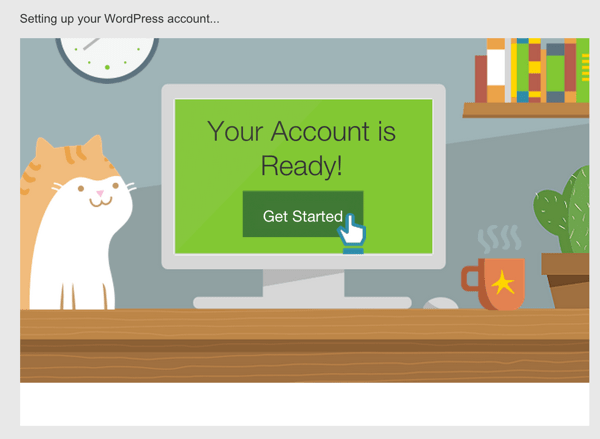 अपना WordPress blog setup करने के लिए आप अपने WordPress dashboard में login कर सकते हैं. 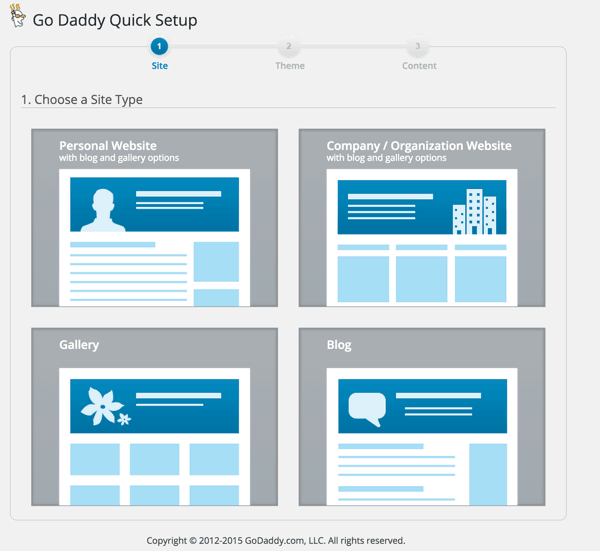 Godaddy, Go Daddy Quick Setup WordPress plugin ऑफर करता है जो non-technical user को केवल कुछ steps में blog, business website, Gallery और personal Website setup करने में मदद करता है. आप अपने dashboard के ऊपर get started पर क्लिक कर सकते हैं, और WordPress site के प्रकार का चयन कर सकते हैं, जो आप setup करना चाहते हैं. Godaddy उन hosting companies में से एक है जो मुफ्त WordPress video training ऑफर करते हैं. आप left bar पर Video tutorials पर क्लिक कर सकते हैं और videos देखकर WordPress के बारे में सबकुछ सीख सकते हैं. 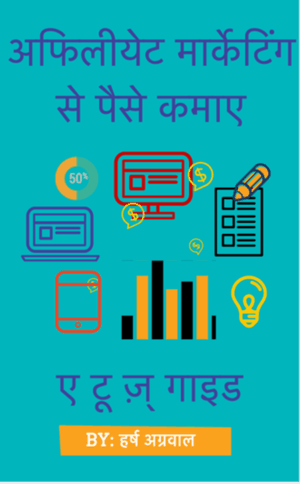 यदि आपने WordPress training की है और WordPress से अच्छी प्रकार से परिचित हैं तो आप ऊपर दिए गए step को ignore कर सकते हैं. आप सीधे Plugins पर जाकर Go Daddy Quick Setup और Sidekick plugin को disable कर सकते हैं. I’m sure कि आपके लिए अगले steps को figure out करना आसान होगा. यदि आप मुझसे अगले step पर tutorial चाहते हैं तो comment के माध्यम से मुझे जरूर बताएं. 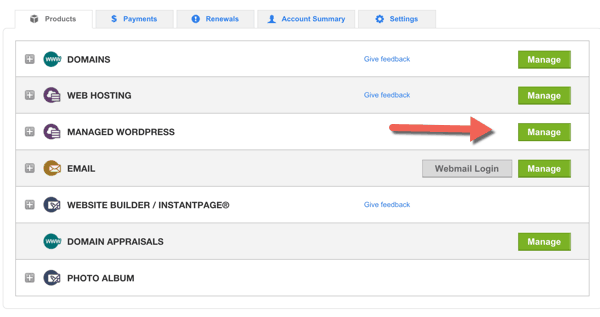 अब आपका WordPress install हो गया है, इसलिए निचे गए videos देखे जिसमे हम ने WordPress Dashboard का overview दिया है और साथ में यह भी बताया हैं की WordPress पर ब्लॉग पोस्ट कैसे लिखे. अब अपना business बढ़ाने के लिए और अपने articles publish करने के लिए अपने WordPress site का प्रयोग करना शुरू करें. 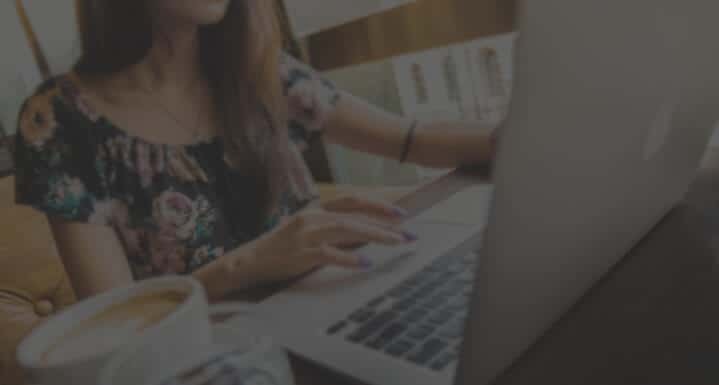 यदि Godaddy WordPress Hosting पर WordPress blog install करने के विषय में आपका कोई सवाल हो तो comment section के माध्यम से मुझसे जरूर पूछें. याद रखें कि यह Godaddy Hosting के विविध tips और tricks सीखने के लिए Godaddy users की एक unofficial community है. इसलिए, हमें हमारे social-networking sites- Facebook, Google+ aur Twitter पर join करें. दूसरों को कुछ मिनटों में WordPress blog setup करने के बारे में सिखाने के लिए अन्य लोगों के साथ इस गाइड को जरूर share करें. I am just thinking to make a hindi blog. Which platform should I choose; Blogger or WordPress? Apke purpose pe depend karta hain. Agar blog ke liye serious ho aur career banana chahte ho, then use WordPress. Else BlogSpot beginner ke liye ok hain. Mera suggestion hoga WordPress pe blogging karain. Screenshots ke liye snag it ka istamal karte hain. aur features post ke liye adobe photoshop ya phir canva ka istamal kar sakte hai. 1) You can take help of free website migration of Hostgator. (They will migrate your primary site for free). You can learn about it here. 2) You can also migrate yourself using two methods. I would suggest you to use Duplicator plugin, makes the process easy. Regarding Name-server change, it’s easy. You need to login to your WordPress.com account, go to domain section, click on domain name & update the name-server. I think Godaddy is the best hosting service provide. hosting kaha se leni chaiye. mere pass kahi websites h. maine bluehost use kiya tha. jis se m satisfy nahi hu. 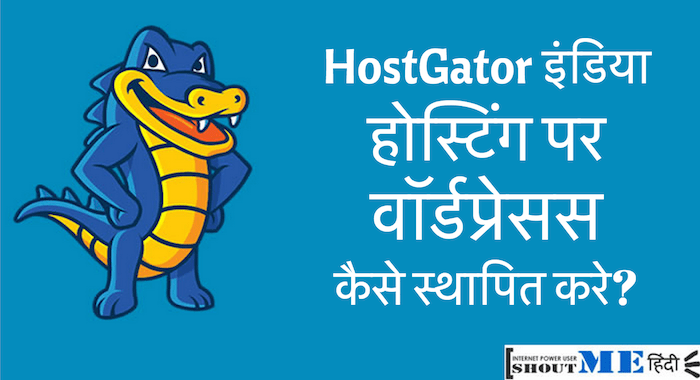 hostgator m use kr raha hu. lekin mere other blog ki hosting khtam hone wali h to mujhe godaddy, bigrock ya another hostgator hi choose krna chaiye. Mai godaddy managed wordpress hosting use karta hu lekin isme kai limitations hain aur mai apna host change karna chahta hu bluehost par. Lekin mujhe nhi pata ki managed wordpress se bluehost par kaise move kare?? Managed wordpress Cpanel bhi nhi deta..
Aap images me arrow kis software se lagate hai please jarur bataiye. Sir very helpful post aap ke post mai dum hota hai har baar kus na kus new sikhne ko milta hai ..
See, abhi aapko time lagega. Keep learning. Appko abhi bahut kuch janna hoga. itni jaldi kuch nahi hone wala. Atleast aapko ye sab samjhne me 1 saal ka time lagega. Very useful information about godaddy managed hosting.Thank you. Keep it up again thanks.